470 Master's Cup concluded on Friday August 3rd, day 4 of the series. 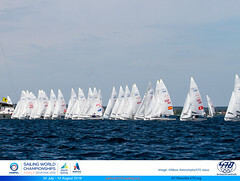 52 teams representing 10 countries participated in the Championship which took place in Hourtin, France. 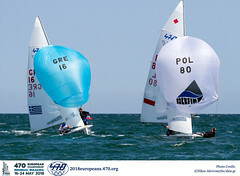 The event was organized by Cercle Voile Hourtin, Medoc, France in co-operation with AS 470 France, the International 470 Class Association under the auspices of Fédération Française de Voile. The race committee decided not to run any races the last day as the wind was very light and the heat was to a high extent , leaving the results unchanged after the previous day. All competitors have really enjoyed the competition and the perfect wind conditions throughout the Championship as well as the additionnal events and the Club atmosphere. The organising commitee is very content as all the winners in the various groups are coming from different nationalities. 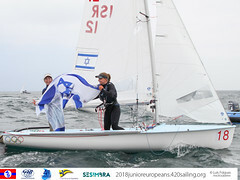 Most of them are obviously coming from Europe but also from Israel, whose team did a great job.